The Italian luxury fashion house Prada, known for their avant-garde and forward-thinking designs, also reveres and protects the past– specifically through preservation and rehabilitation of historic architecture. 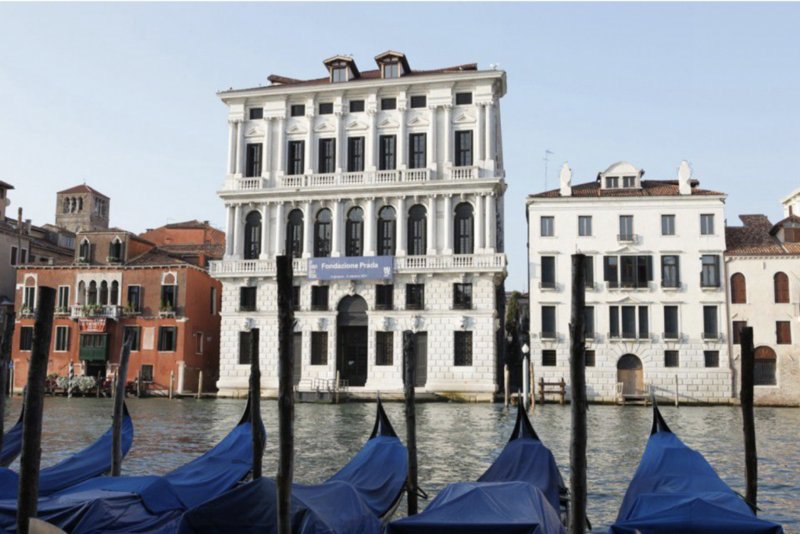 They have funded three major projects in this realm: Ca’ Corner della Regina in Venice, Galleria Vittorio Emanuele II in Milan, and Rong Zhai villa in Shanghai (which will receive its own feature next week). 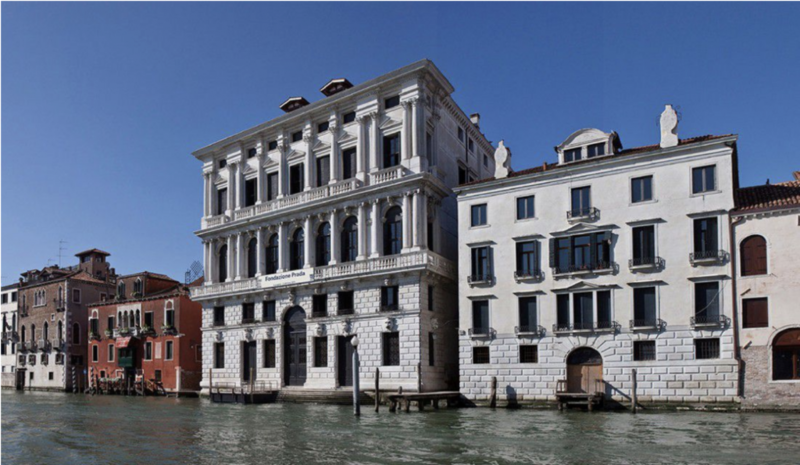 Ca’ Corner della Regina is a 300-year-old palazzo on the Grand Canal in Venice, Italy. It was built between 1724 and 1728 by Domenico Rossi, it then became the property of Pope Pius VII in 1800, and was used as a host for charitable organizations until 1969. 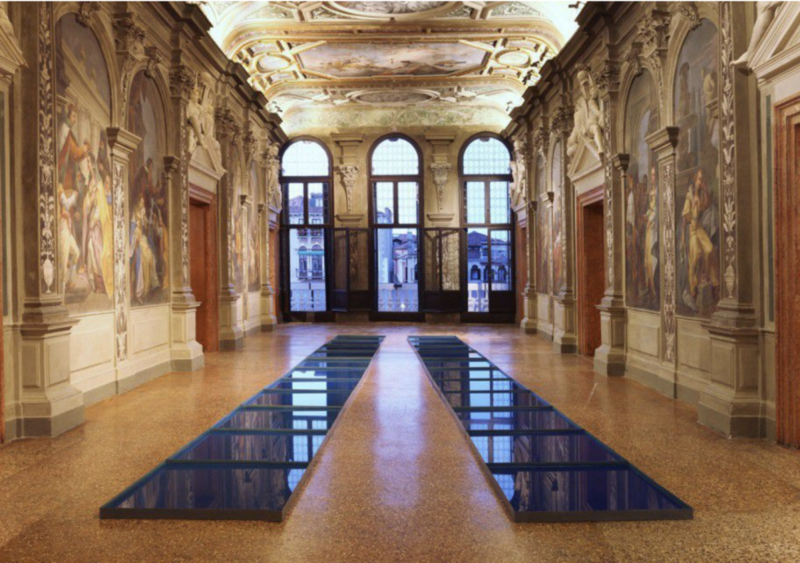 From 1975-2010 it was the home of the ASAC (the Historical Archive of Contemporary Art of the Venice Biennale), until 2011 when Prada oversaw the restoration of the palace, which now functions as the Venetian arm of its arts-minded Fondazione Prada. The primary goal was to secure and preserve everything with artistic and architectural value. 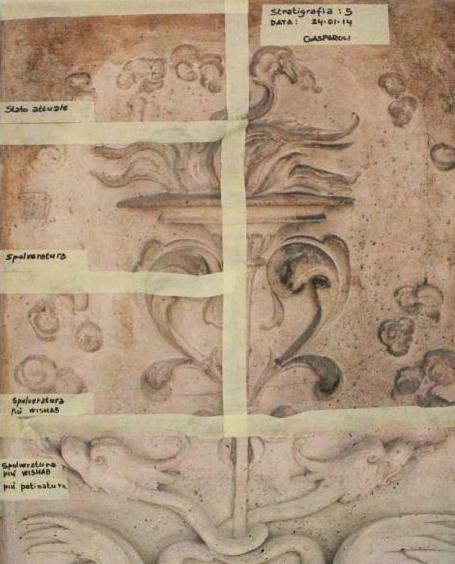 This included maintenance of the wooden doors, windows and shutters, removing all non-original partition walls to reclaim spaces that had been turned into offices and service rooms, and secure the decorative and ornamental frescoes, stuccos, and stonework throughout the building. 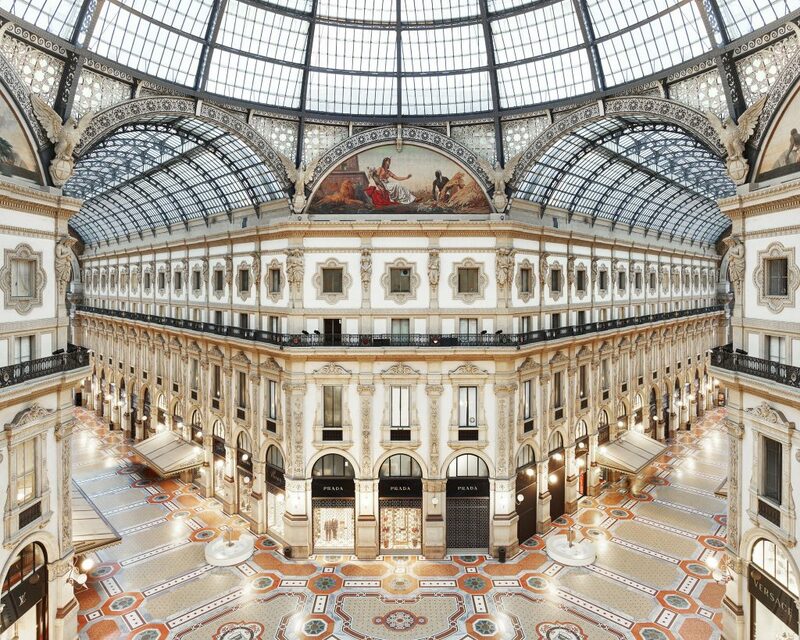 Galleria Vittoria Emanuele II is an iconic glass and cast iron arcade designed by Giuseppe Mengoni and built in 1865 in Milan, Italy. After Milan was freed from Austrian control, the Milanese municipality organized contests to gather ideas for how to modernize the city’s central Piazza Duomo. Mengoni’s project was the winner, praised for its pragmatism and elegance. 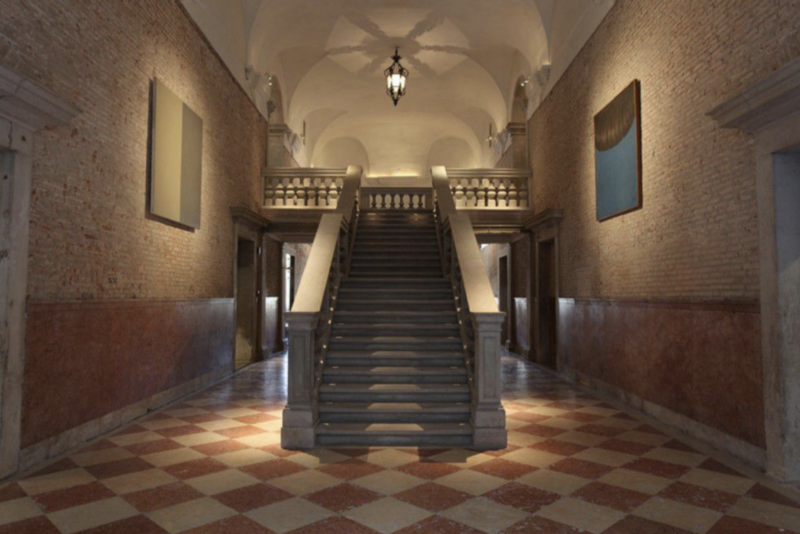 The gallery was built in honor of Italy’s last King and signaled Italy’s newly brokered unity. It is also frequently dubbed the world’s first shopping mall. 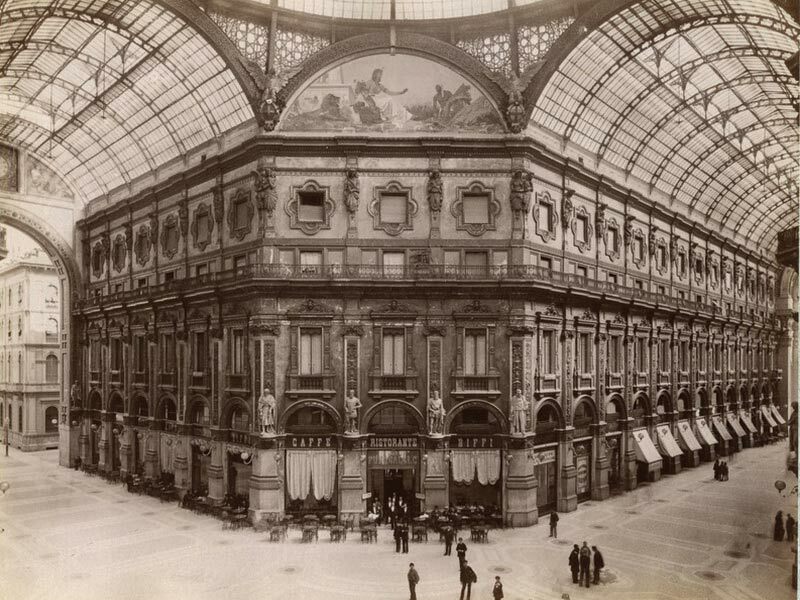 Very quickly, the Galleria became the meeting point of the Milanese higher classes– they strolled here to shop, show their furs, and stop for a coffee. In 1913, Mario Prada founded Prada’s initial storefront inside the prestigious Galleria, selling luxury travel articles and accessories. The original shop has kept its ancient flavor even today. The mahogany shelving units are the same ones Mario Prada specially commissioned, and a selection of historic Prada products are displayed. In 2015, Prada teamed up with fellow Italian fashion label Versace to sponsor a year-long cultural restoration. They hired esteemed Italian restoration firm Gasparoli to brush away dust and soot using brushes and vacuum-like machines, remove caked on dirt using a neutral detergent and gentle water hose that cleans, but also maintains the Galleria’s historic patina, and paint stucco into the fine cracks and small holes throughout the building. It is an impressive undertaking to restore and preserve these celebrated works of architecture, and Prada’s patronage will ensure these great buildings continue to share their beauty and history. Their third and most recent major project, the Rong Zhai villa in Shanghai, is sure to inspire as well. More on this one next week!